How do you know when it could be time for an electrical panel upgrade? One sure way is to have a licensed electrical contractor to inspect your current electrical system and provide you a report as to the current health of your electrical system. 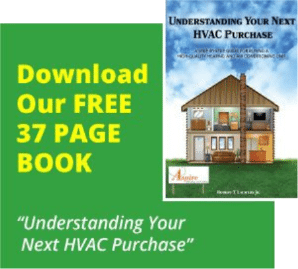 Another way is if your home is nearing 20 years or older and you’re not sure of the type of electrical system you currently have. An old screw type fuse panel should be considered to have upgraded. Or if the home has had any additions added to it. A thing to be on the lookout for is if you have flickering lights in the home or if you have breakers that trip often. Be cautious to not overload plugs in the home with too many items plugged into them and that be the cause of tripping breakers. This condition can lead to home fires. It may mean you only need additional circuits and not a new panel. If you hear any noise like crinkling paper from your panel. If you see any rust or corrosion on the panel or near the panel. When you suspect the panel is warmer than room temperature. Appliances in the home do not seem to be running at full speed. Your home plug outlets only have 2 slots and no place for the ground from plugs. Should you have the need for more protection than normal homes due to computers or other sensitive items that require power. If you have to use extension cords in the home to get power somewhere. When your main breaker size is either a 60-amp, 100-amp or 150-amp. If your main panel does not seem to have the main breaker shut off. Any of the following panels should be inspected by a licensed electrical contractor due to either known safety issues or parts are no longer available for them. Federal Pacific Electric Panel – Unsafe by the U.S. Consumer Product Safety Commision. Relates to panels installed in homes from about 1950-1980. Zinsco Electric Panel – These panels are very unsafe. The can allow power to still flow even when a breaker has been switched off. It is also very hard to find OEM replacement breakers for this panel and just a few repairs could cost more than an upgrade. Pushmatic Electrical Panel – These panels do not have a main breaker to shut off all incoming power and can pose a safety risk. The breakers are also known to become very weak in time. A Fuse Box – These are among the oldest power systems in homes today. Normally when you have a demand too high, a fuse will fail. When this happens, you have to purchase a new fuse to replace the bad one. It is common to find oversized fuses in these fuse box’s because for a long time the threads were not different. When this happens, it does not leave the wiring in the home protected properly and can certainly lead to house fires. And in conclusion, adding on to your home. Don’t forget that this could lead to an undersized electric system. It’s always good to consult with a licensed electrical contractor before taking on any renovations for your home.